Epcor unveiled a new facility Wednesday that removes phosphorous and nitrogen from waste water and turns it into fertilizer to be spread on farmers' fields. Epcor unveiled a new facility Wednesday that removes phosphorous and nitrogen from waste water and turns it into "pearls" of fertilizer to be spread on farmers' fields. 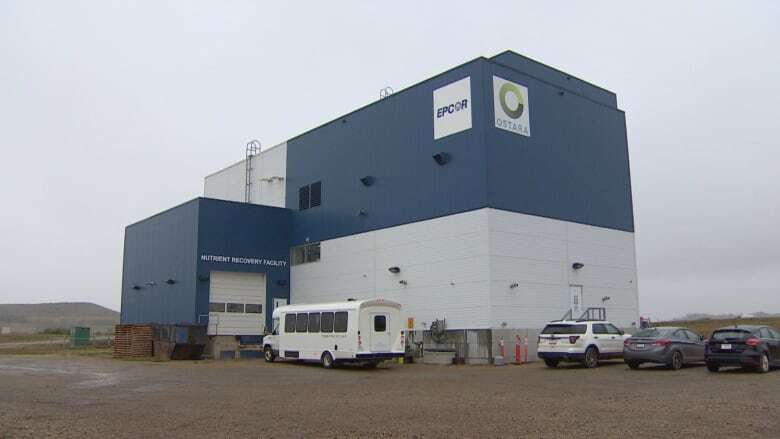 The facility, which Epcor describes as "Canada's largest waste water nutrient recovery facility," was built in partnership with Ostara Nutrient Recovery Technologies. Sewage from the city flows into the Gold Bar waste water treatment plant, and after an initial round of treatment is piped to Clover Bar, said Simon Thomas, plant director. At Clover Bar the material is placed in ponds, where the heavier materials settle. The new $18-million plant, located at Clover Bar, then takes in the remaining water and recovers phosphorous and nitrogen from it, turning it into pellets of slow-release fertilizer, Thomas said. The water is then sent back to the Gold Bar plant. 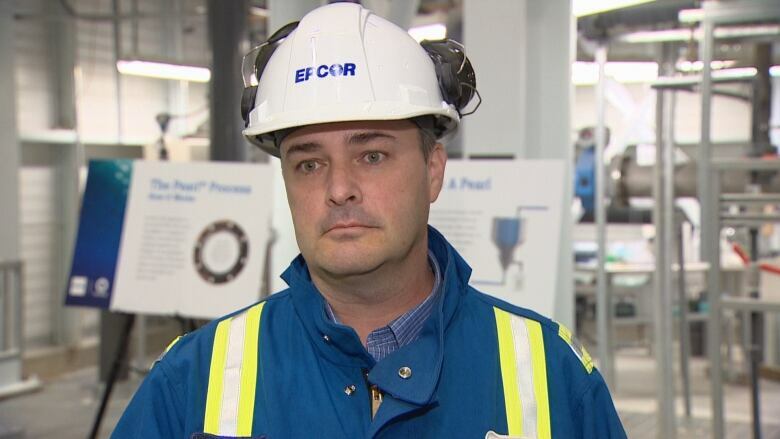 The process provides a few benefits for Epcor, Thomas said. The phosphorous contributed to the development of a crystal, called struvite, that was coating the pipes in the water treatment plant, he said. This process reduces that. "We'd have to clean these pipes every year or two because the pipes would get clogged over time," Thomas said. "It's going to save us maintenance costs." 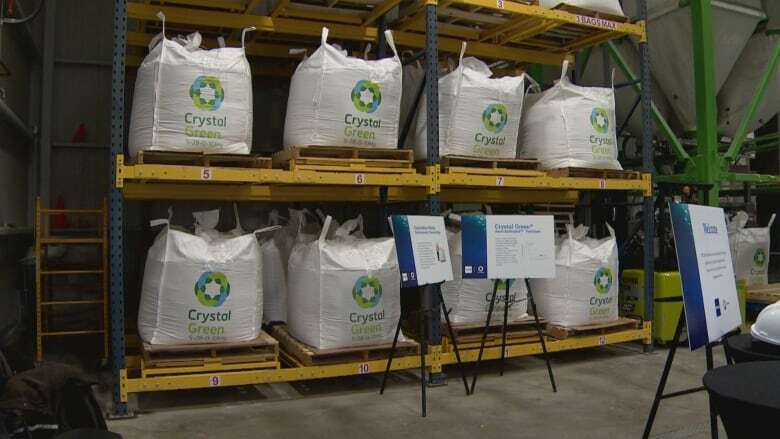 The process also helps to reduce the amount of phosphorous that would ultimately end up in the North Saskatchewan River, said Ahren Britton, chief technology officer with Ostara. "Nutrients in rivers can end up growing algae blooms and depleting oxygen supplies that's needed for fishes in the rivers," Britton said. The fertilizer produced is not water soluble, so it isn't washed away by rain, he said. "It literally waits for a plant root to come close to the granular of fertilizer," Britton said. "The natural acids the roots secrete when the plant is hungry is what causes the pearl to dissolve and release the nutrients for the plant to grow." That results in efficient plant growth, and less runoff from farmers' fields, he said. 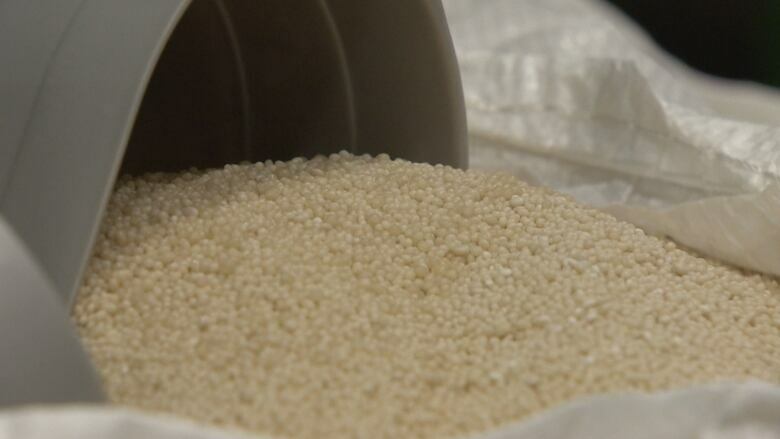 The pearl fertilizer is more expensive than other common fertilizers but has been shown to increase crop yields for canola, potatoes and wheat, Britton said. The new plant is expected to produce 1,000 one tonne bags per year, about three bags a day, that will be sold primarily to farmers, Thomas said. The technology was developed at the University of British Columbia, and the demonstration system was established with the City of Edmonton in 2007 at Clover Bar. The demonstration project proved commercial viability, and Ostara nutrient recovery facilities have since been built in Canada, the U.S., Europe and are under construction in the Middle East.